It's been nearly two months over two years since my last post! I never realized how hard it was to put yourself out there! I have a new found respect for the bloggers that I love to read. Over the last couple of months years, I have really struggled with the courage to write additional posts. Seriously, who wants to read what I have to say?! God has placed a desire in my heart to serve others. Giving of my time and talents is very important to me. But, with three kiddos - how can I do that? I find that I spend lots of time 'waiting' - in the car pool line, at countless practices/activities that the kids are involved in, at appointments, etc. How can I use that time to serve others? "I'm tired. I'm distracted. I'm disappointed in myself. I feel slightly used and more than slightly used up. I'm a little overwhelmed and a lot worn down. 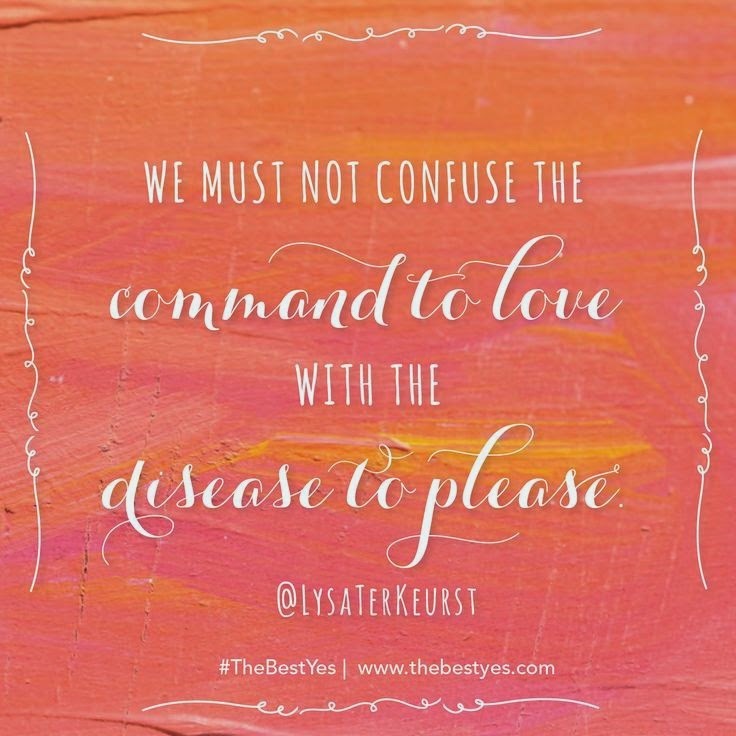 We must not confuse the command to love with the disease to please. And it's not just because of the vicious cycles of people pleasing, although that's part of it. I miss Best Yes opportunities sometimes because I simply don't know they're part of the equation. I get all twisted up in making the decision to check either the Yes or No box, not realizing there is a third box that reads Best Yes." "Ignoring God's leading doesn't seem like such a big deal in these cases. In the grand scheme of the world, how big a thing is it that I didn't pick up that cup? After all, how can I be sure it was really God? I think a better question would be, How can I be sure it wasn't God?" So, I'm not sure what my blog is going to look like. I'm not sure how often I will post. What I do know is that I will be listening to that small voice that tells me, This is your Best Yes! 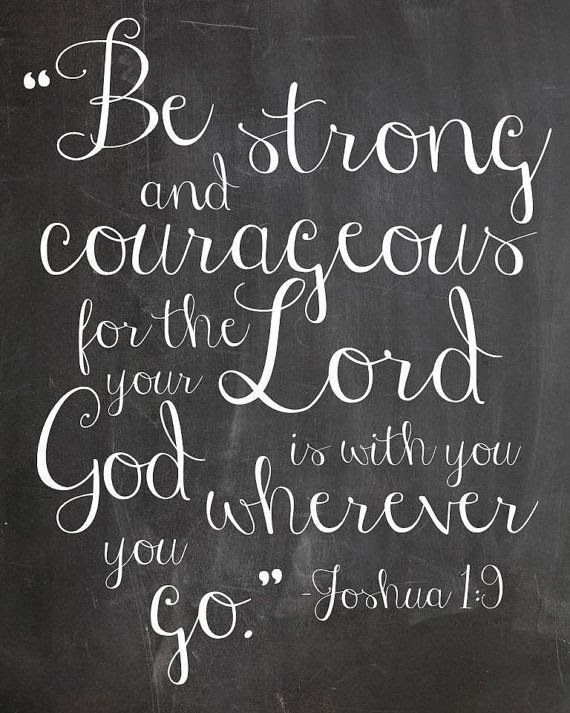 I know that I will still need courage but I also know where I can find it! I would like to thank Shelly, Sara, and Melissa for being my ultimate cheerleaders and encouraging me on this journey! You will never know how much you mean to me! Absolutely love it! You definitely need to give yourself more credit for what you have to offer....and you are way wittier than you think you are! 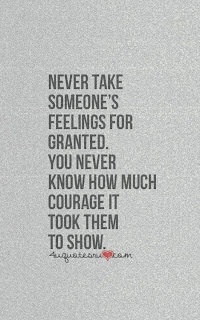 Proud of you for taking a chance on YOU! I'm so proud of you and can't wait to see what pearls of wisdom & joy you have for us! Thank you! Hoping to get some of these thoughts out that keep rattling around in my head! Also hoping to get ideas and inspiration from others. Miss you! :) Glad you found the notify box! 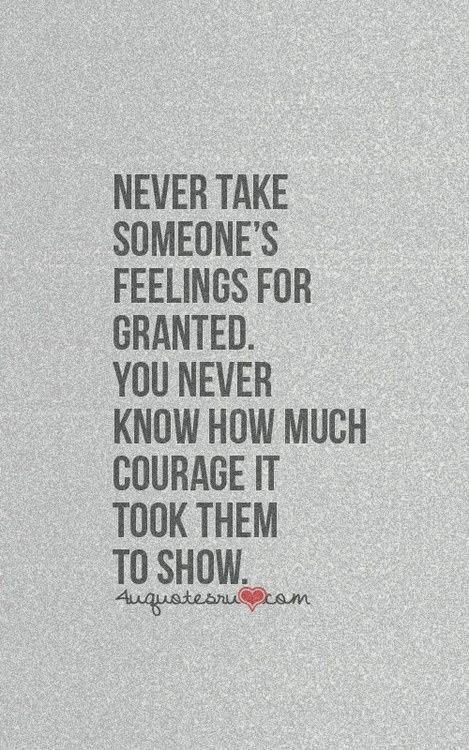 And, so glad that you are taking this chance. As one friend told me, if you help/inspire one person with your words, your job is done. Keep me posted on your new blog posts! Would love to follow along! I like this, Holly! Making the most of the time you have and the circumstances in which you find yourself! What a great way to live and serve! I think that you've discovered the secret to following after Christ - just doing the next thing where and when He leads! Love your smile and your gracious spirit! And, it won't be too long before those kids are driving themselves around. I don't wait on mine much at all these days! Just as an FYI, you are a blessing to my life. God has used you to help and to encourage me! Melanie - you are too sweet! You have been a blessing to me too! I'm so glad Kim "introduced" us!